Hello again!! How time flies & now we are entering March! 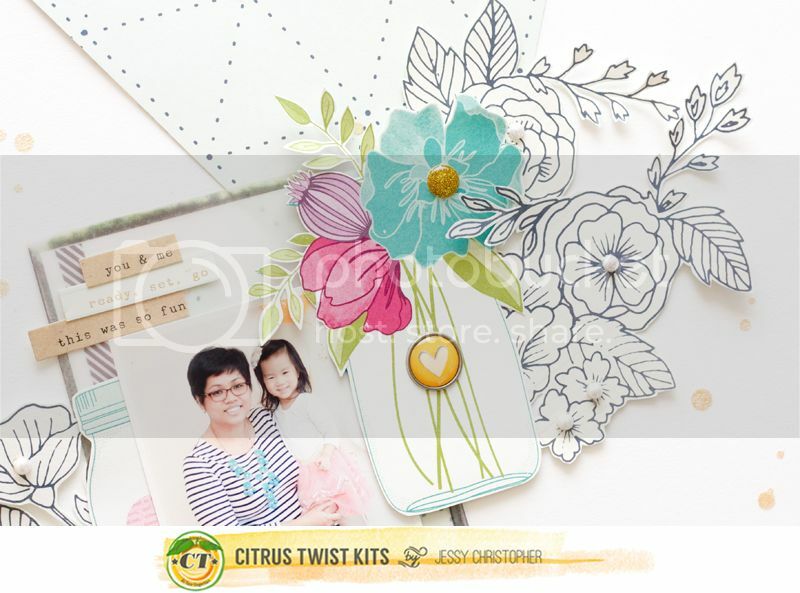 And the reason I am back again is to share with you Citrus Twist Kits March 2015 Main kit. Isn't it beautiful? I love the papers + embellies. They are so perfectly matched! And this month, we have something fun too. We have the March 2015 Sprinkles kit. If you are a huge fan of embellies like me, this will be just perfect for you! I absolutely love the flower jar in Dear Lizzy paper + the doodling flower in Crate Paper paper. So I decided to mesh them up together. They looked absolutely lovely together! 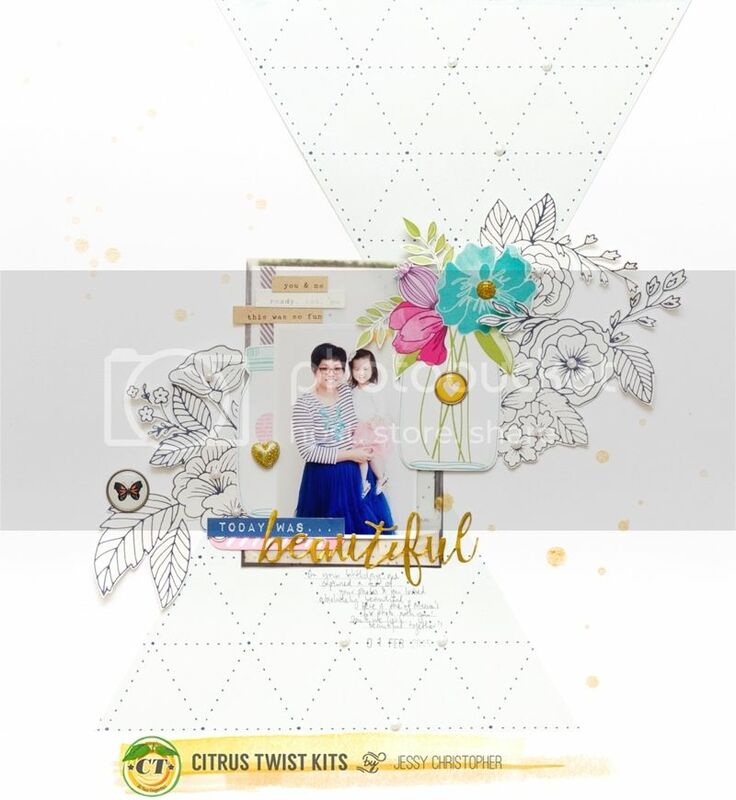 For now, I have this layout to share with you for now as the others will be share a bit later on the Citrus Twist Kits blog. So be sure to check back! For just $12, you'll get the class stamp and class. 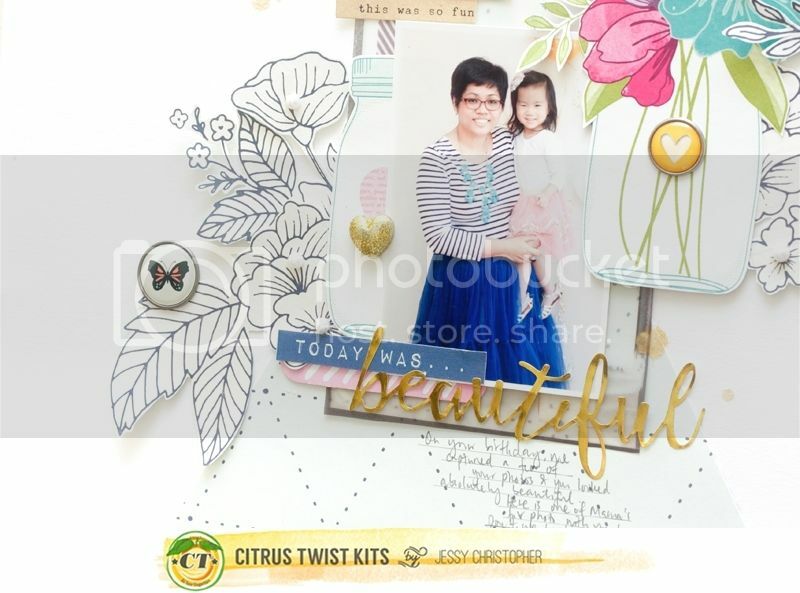 We have 8 contributors sharing how they use stamps in their scrapbooking plus an introduction covering stamping, stamp storage and more.